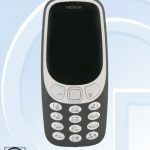 It’s already well documented, at least in China, that HMD is preparing to launch a 4G version of the popular new Nokia 3310. Nokia 3310 4G, as we suspect HMD will call it, passed CCC and TENAA, and in TENAA’s database most specifications of the device were revealed, including support for WiFi, 4G, more RAM and more powerful processor than Nokia 3310 3G, and YunOS as the operating system. Now, Nokia 3310 4G in the model variant TA-1077 passed Bluetooth SIG. 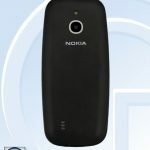 It will feature Bluetooth 4.0 and is classified as a 4G feature phone. If we compare these specs to Nokia TA-1047, which is another 4G feature phone that passed BT SIG, we can conclude that the mentioned devices don’t use the same OS. Also, TA-1047 is classified as a GSM/WCDMA/LTE Mobile Phone, so not directly a feature phone, with BT4.2 on board. The TA-1047 also passed FCC, where we saw that the device is smaller in size than a smartphone, but bigger than any feature phone HMD offers. Some even suggest it has a QWERTY keyboard and it could be branded as Asha? Last time we heard something about a possible announcement date was last year, where a member of Chinese baidu forum suggest January 19th as the announcement date for Nokia 9. That’s in 2 days, and we will see then what happens, but don’t get your hopes high, because MWC is right around the corner.